Due to the success of our first exhibition of 2018 – ‘to shorten winter’s sadness’ featuring the work of Katy and David Quinn, the exhibition is being extended until the end of March. David is originally from Tasmania and spent much of the 80s and 90s as a touring and recording musician. 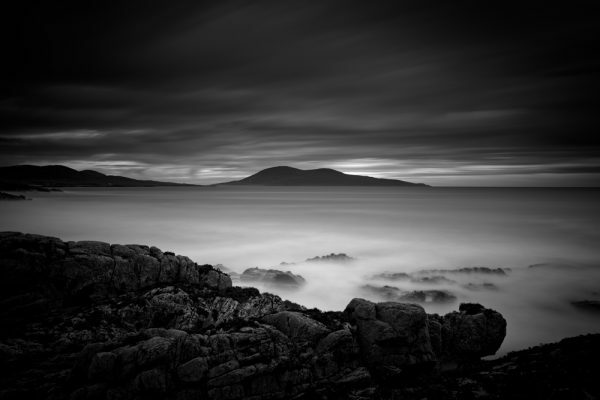 He is a photographer with a particular interest in fine art landscapes and seascapes – with the odd cityscape. In his more recent work, he uses long exposure techniques to capture the scene which he then edits to bring out the desired detail. He also does painstakingly hand-stitched panoramas which highlight the drama of his surroundings. He is a big fan of textured clouds and can often be seen out in the landscape sulking when the weather is flat and grey. 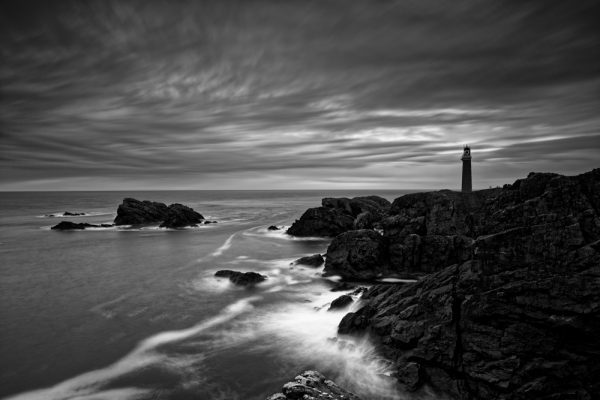 David has been a shortlisted finalist for the Scottish Landscape Photographer of the Year and recently won three Honorary Mentions in the International Monochrome Photography Awards 2017. Two of the works relating to the award will be featured in David’s exhibition. ‘to shorten winter’s sadness’ features new work from David’s recent trip to the Isles of Lewis and Harris (Outer Hebrides) as well as Wistman’s Wood in Dartmoor. 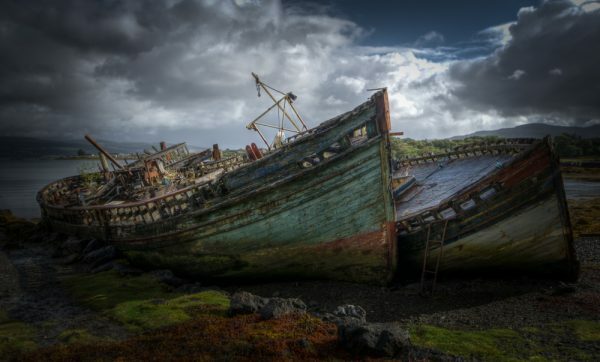 These will be shown alongside a selection of his older favourites from Iceland, Finnish Lapland, Scottish Highlands & Inner Hebrides, Shetland, Orkney, Vietnam, Bruges, England and Australia. Works for sale include limited edition prints as well as smaller unlimited A3 prints. A full catalogue of current work will also be available from which you can order other prints. He will have copies of his book the beauty of solitude available as well as a selection of postcard sized “mini prints”. Also available will be one of his panosaws – a 360° panorama made up of 9 mini prints where you can decide the composition. Katy Quinn is from Australia and gained her degree in Fine Art from the City Art Institute, Sydney with a major in drawing. Since moving to the UK she has also completed City & Guild courses in jewellery as well as courses in glass, ceramics and sculpture. 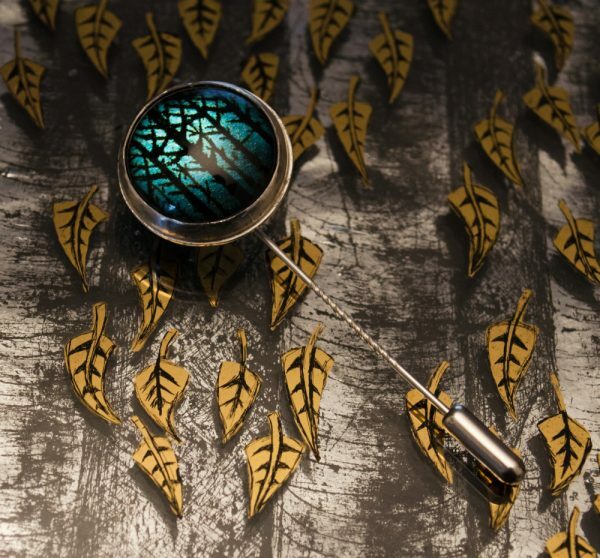 She works with glass, silver & gold – creating detailed imagery on panels and 3D objects resulting in a unique, reflective mirror-like finish. It is a labour intensive and demanding technique but results in an effective finish allowing a high level of detail and intricacy. 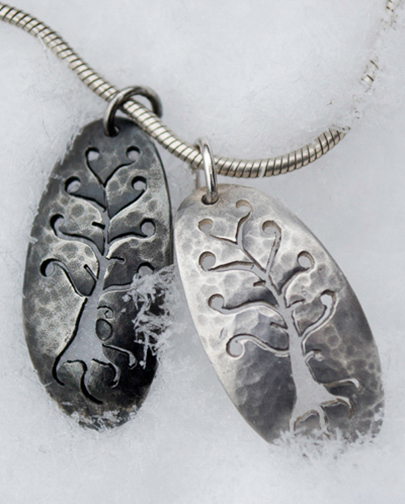 She also combines these techniques with traditional silversmithing to create image based jewellery. She is heavily influenced by her travels throughout Finnish Lapland, Norway, Iceland and Northern Scotland and her most recent work explores imagery inspired by Scandinavian folklore. Her work depicts the beauty & detail of the natural world in all its splendour & variety – in particular remote, northern and often wintry landscapes. The trees, plants, birds, animals & beings – both real and imagined – that inhabit these wild places find their way into her work. 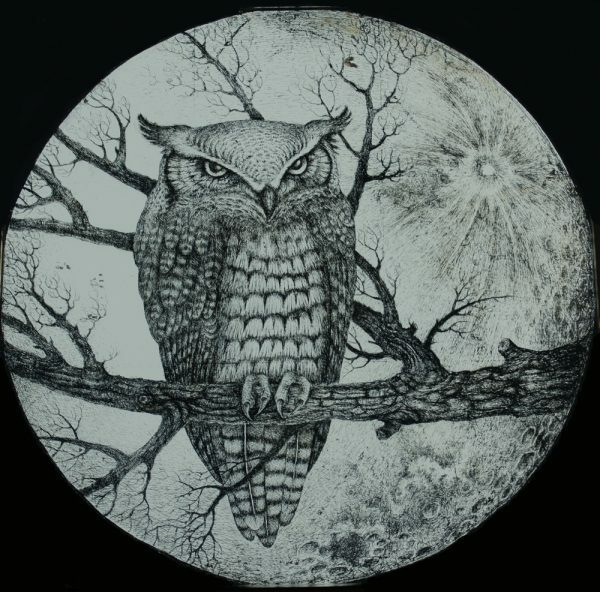 For this exhibition, Katy will be featuring a range of artworks: wall-hanging, framed glass images, smaller 3D objects such as paperweights, glass & silver jewellery, prints and greeting cards.